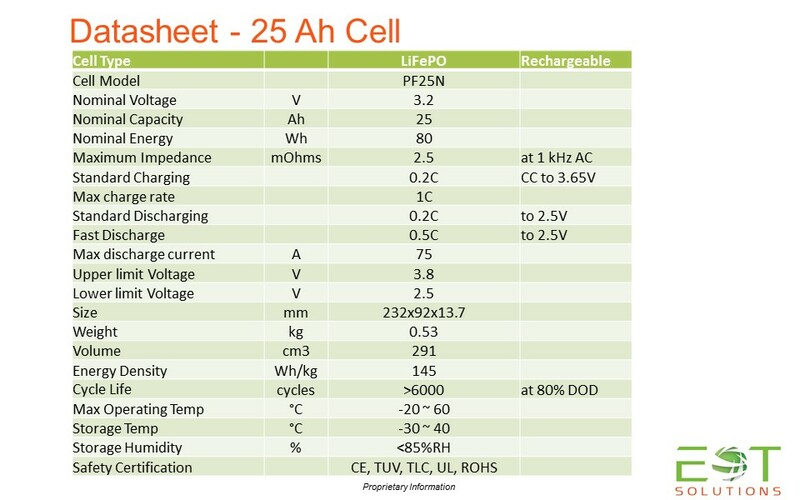 Lithium Iron Phosphate batteries, also known as LFP batteries, use phosphate as a cathode. 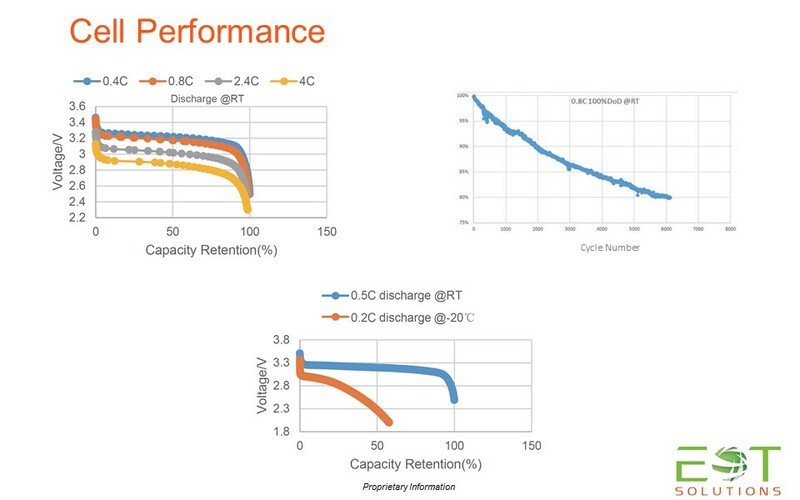 Li-phosphate batteries benefit from low resistance properties, which enhance their safety and thermal stability. 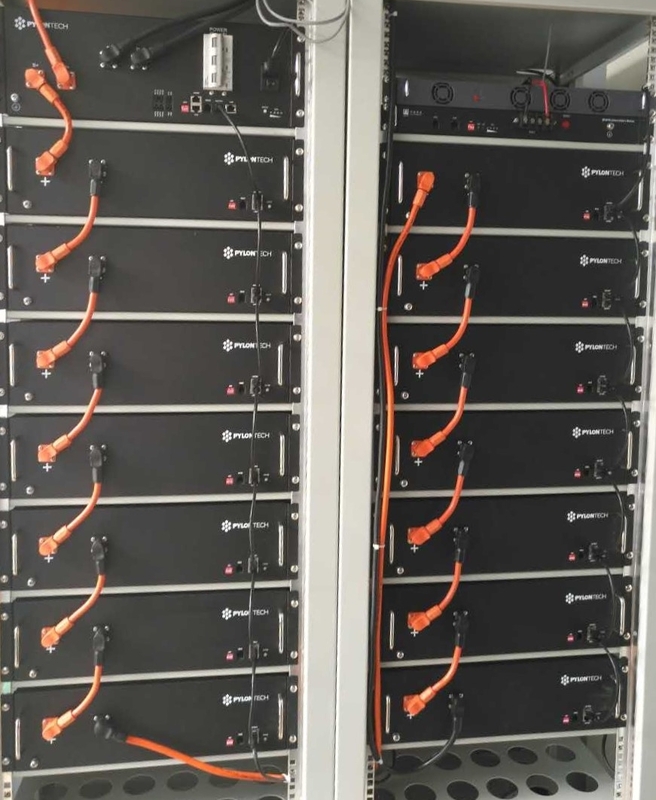 Other benefits include durability and a long life cycle – fully charged batteries can be stored with little change to the total life span of the battery’s charge. 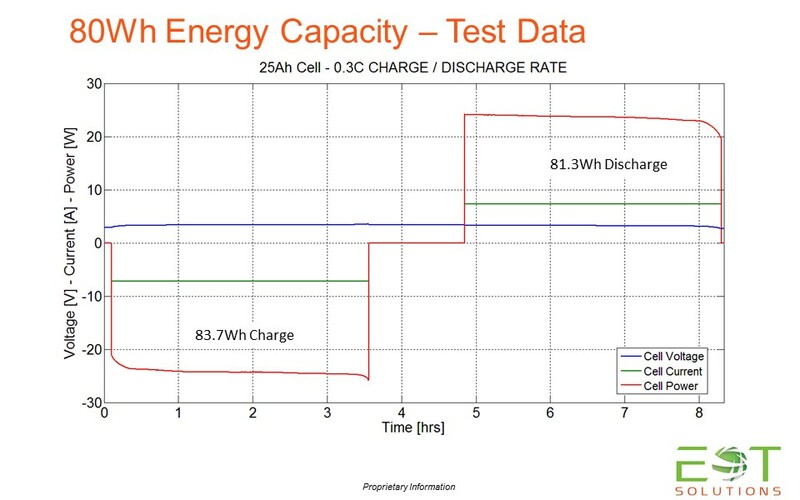 Li-phosphate batteries are the most cost-effective option, when their long life cycle is taken into consideration. 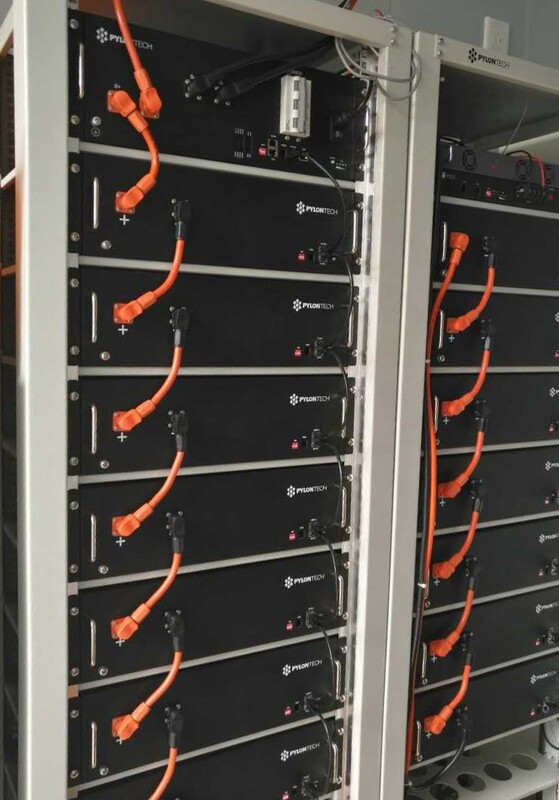 These batteries are used in electric vehicles as well as stationary residential energy storage applications that need a long life cycle and significant safety. 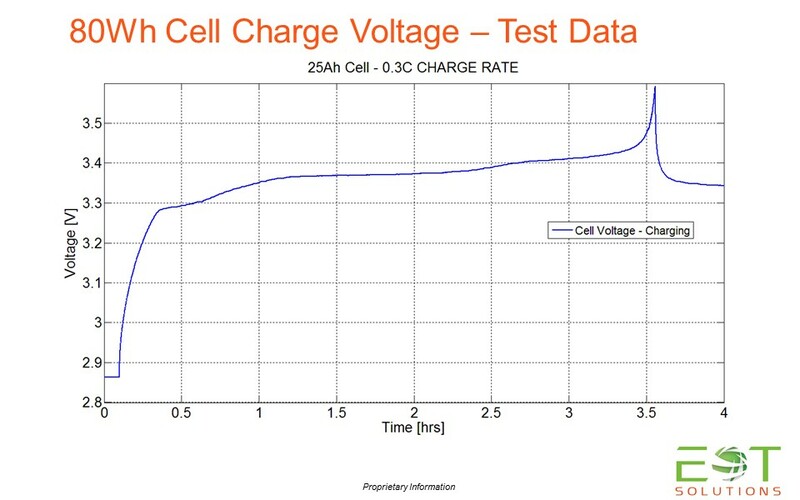 EoT uses LFP Cells of a unique design to ensure the highest level of safety, high energy density, and long battery cycle life. 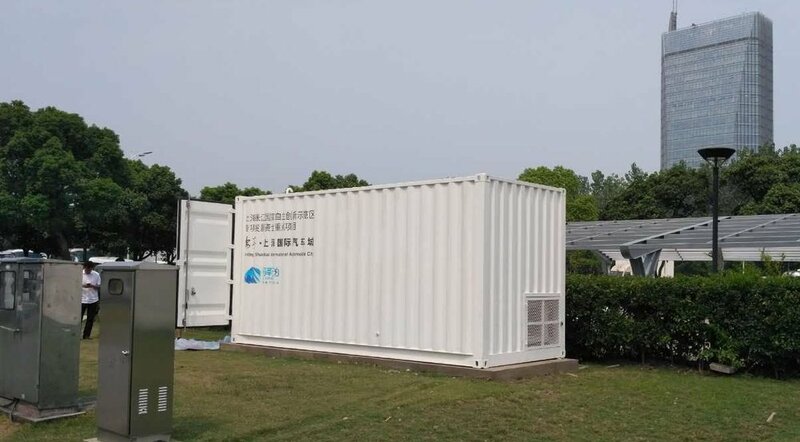 EoT Solutions uses the latest High Energy modular design. 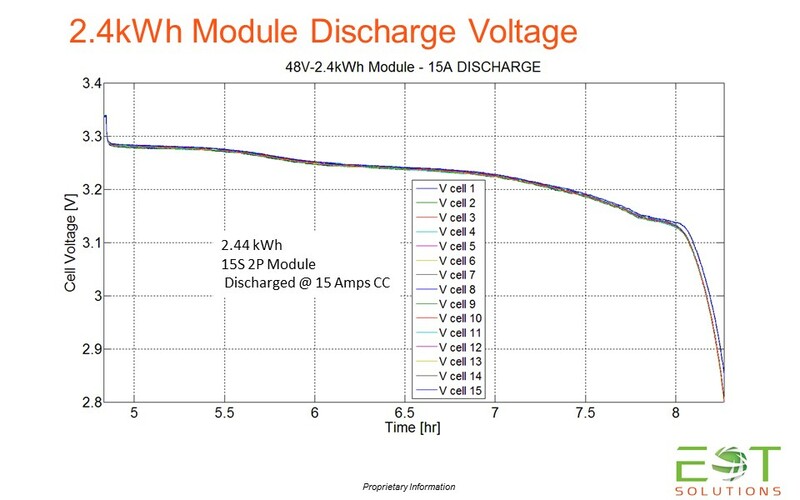 The 48V Modules are safe, reliable, compact, and easy to install. 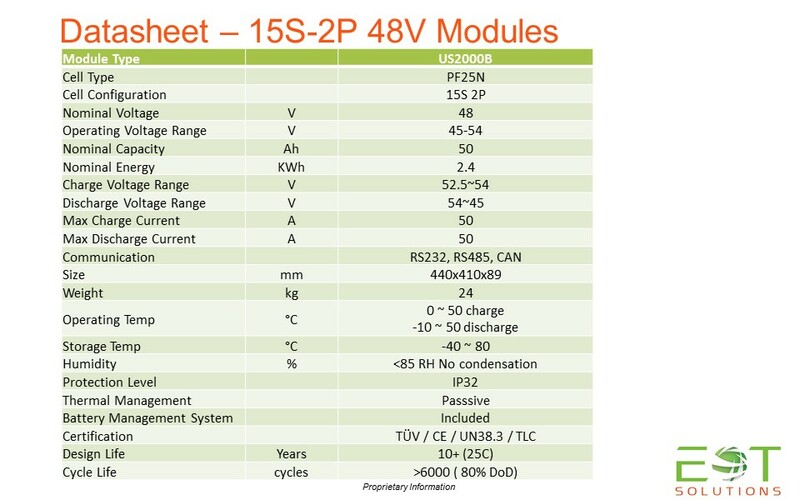 The 25 Ah cells are packaged in a 15S-2P configuration that provides a highly efficient and compact 2.4kWh Module.